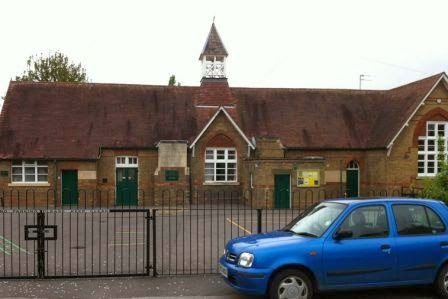 Sharnbrook Council School, now John Gibbard Lower School. 11th September 1914, Sharnbrook: A meeting was held at Sharnbrook school on Wednesday to provide information about the Soldiers and Sailors Families Association. As a result a committee has been set up to help local families who are in difficulties because of the war. Ten young men from the village have enlisted in the services this week. A roll of honour with the names of all volunteers from the village is to be put up in the Church porch. Source: St Peter’s Sharnbrook Parish Record, P112/28/6, p.55.